Just a day before the event Paryushan Parayan 2013 in Adalaj,Gujarat(India), a new hall of 100,000 sq. 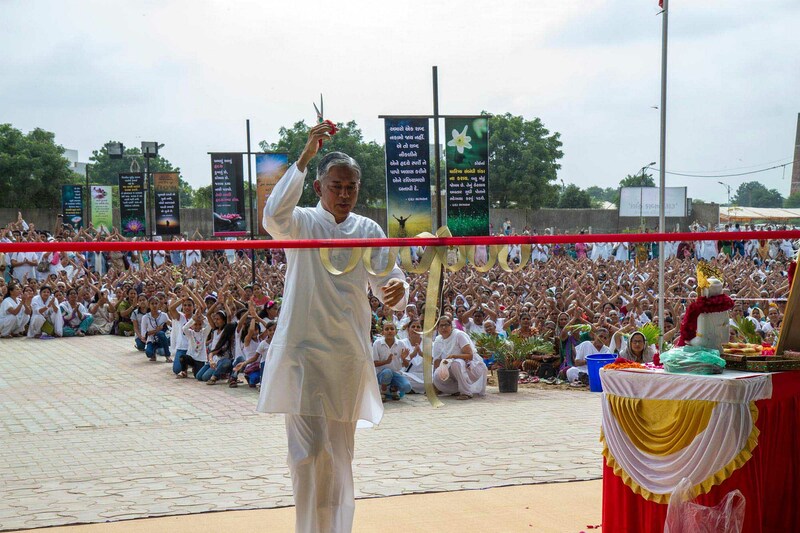 ft was inaugurated by Pujyashree Deepakbhai in presence of thousands of followers. It is then followed by the prayer dance for Jagat Kalyan by kids and arti of Lord Shri Simandhar Swami and Param Pujya Dadashri. 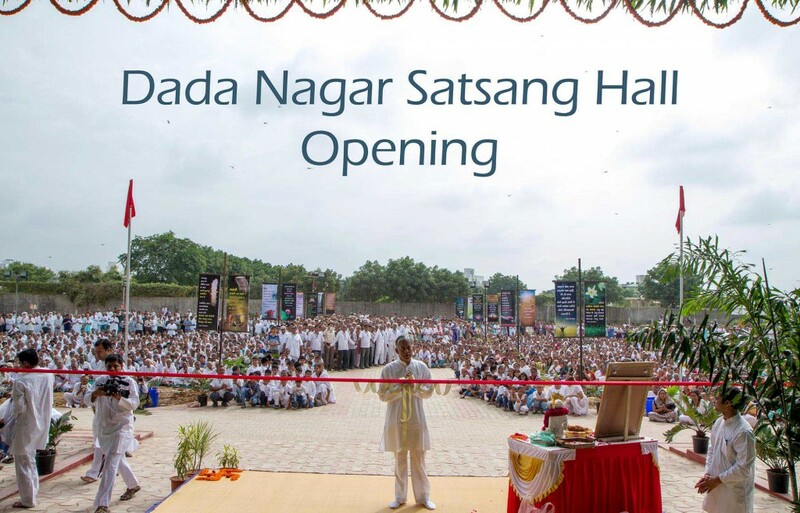 Although this new hall can currently accommodate 15,000 followers, it is flexible enough to accommodate more followers coming for satsang in Adalaj. This is because it has the power to expand in any direction to do so. Structure was completely planned and built just within 5 months, has a steel construction that can be easily detach and re-assemble at a new piece of land, if needed. 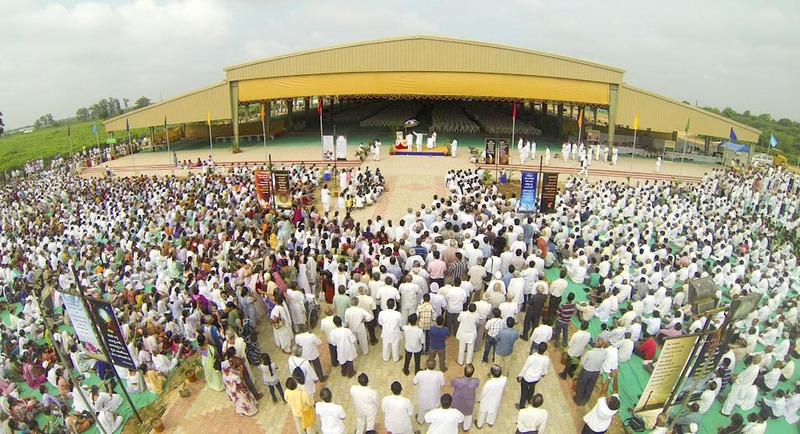 Furthermore, the hall has been made in such a way that no outside sound can penetrate inside to disturb the followers listening to the satsang. For all of us, this is no less than a magical hall due to its immense features, just like Param Pujya Dada Bhagwan accommodating everyone in his ever-expanding train to Mahavideh. Also, care is taken for enough ventilation so that fresh air always keeps listeners fresh and comfortable. One can definitely feel and experience the coolness and calmness of inner and outer under its shade in the presence of Pujyashree Deepakbhai.